Successful recruitment isn’t about sourcing the most applicants, it’s about sourcing the right applicants. Unfortunately, many of the strategies that modern recruiters employ to aid their hiring efforts are designed to generate a large number of applications, suitable or not. Often, the end result of these strategies is a giant pile of resumes that are mostly off-target. Or worse, a giant pile of applications in which it’s almost impossible to tell how well any particular candidate meets the company’s needs. How can recruiters break out of this cycle and start sourcing candidates that better fit their company’s mission and values? One strategy is to use employee personas. What is an Employee Persona? Maybe you’ve heard the term buyer persona in the past. Businesses use the term to refer to fictionalized versions of their ideal customers, including biographical and demographic information, that they use to guide their marketing and sales efforts. An employee persona is essentially the same thing, but for job candidates. Just as marketers typically have multiple buyer personas for the various segments of the market that they’re targeting, recruiters should have different a employee persona for each open position at their company. This may seem like a trivial enough matter, but employee personas can actually be a huge help when it comes to defining an employer brand and crafting recruitment-focused messaging the inspires qualified, suitable applicants to apply. Just as a buyer persona gives marketers and salespeople a definitive image of a human to latch onto when they’re deciding whether or not a product or advertisement will speak to their ideal buyers, employee personas can help recruiters to envision the traits of their ideal hire for any given position, so that they can clearly communicate the importance of those traits in any employer brand messaging. So, you’ve got a fairly clear picture of what an employee persona is. The next big question is: how do you create one? The first step is to define the actual information that’s going to comprise the persona. This should be some combination of demographic information (area, life-stage, education, etc.) and ideation about the challenges, likes, dislikes, aspirations, fears, and goals your ideal candidate might have. Naturally, there will be more than one acceptable answer to each of these questions, which you can segment into multiple potential personas even for the same job. From there, it’s a matter of envisioning your ideal candidates and interpolating their goals, challenges, etc., or even just brainstorming a number of adjectives that should apply to them. Let’s say you’re a growing tech startup and you need to hire a few non-technical roles. To begin with, you sit down with your current team (since you’re growing, your team is probably supporting larger company goals fairly successfully) to get a sense of what drives them in their day-to-day jobs. Some of them might express an interest in solving hard technical problems (which your non-technical candidate would not be likely to share), while others express a strong belief in the value of your product and a desire to make an impact on people’s lives (sentiments that are certainly not limited to those with technical expertise). In this way—starting with your team’s hopes, goals, likes, and dislikes—you begin to gain a foothold in terms of creating your persona. Next, you can do online research into others who have positions similar to the one you’ll be advertising for. There are resources you can use to find out baseline salaries and education levels for various job descriptions, but you can also use social media platforms like Facebook and LinkedIn to gain insight into how people in the relevant position actually describe themselves. Thus, your ideal candidate persona for a PR specialist might be someone who has an English or Communications degree, one day hopes to be a marketing or communications director, and (like many of the technical members of your team) has a passion for spreading new and innovative solutions to a broad audience. She likes taking risks and making bold decisions in her work, and doesn’t appreciate corporate bureaucracy. Conversely, you might be hiring for an HR role, and your research might demonstrate that your ideal candidate has an interest in technical topics and a passion for providing a fun, collaborative work environment. Perhaps this person’s primary career ambition is translating a passion for helping people into methods of driving real organizational change. Okay, here’s where the rubber meets the road. You’ve got your personas in place, now what do you do with them? As it happens, these personas can be extremely versatile, giving recruiters guidance in virtually all stages of the recruitment funnel. To begin with, your personas should directly inform the nature of any employer branding content designed to raise awareness of your unique mission and employee value proposition (EVP). If your employee personas are interested in career growth and education, your employer brand should position your business as a place where those things can take place. If, conversely, your ideal job candidate is more interested in innovation and fast-moving processes, don’t be afraid to highlight your agile side. 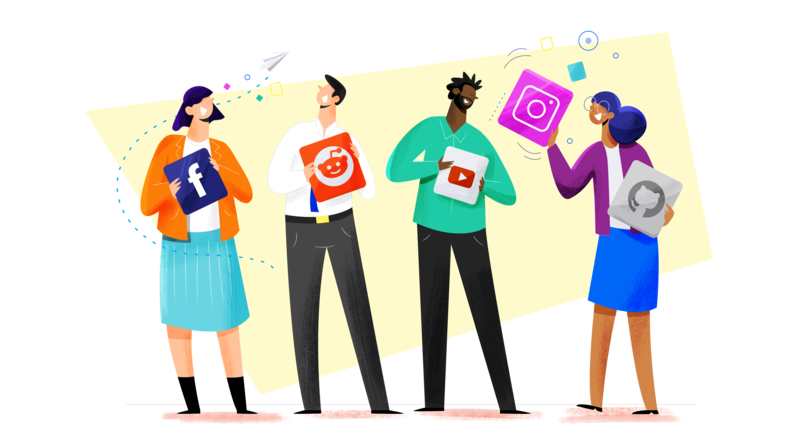 Hopefully, the impressions you gain with this persona-informed content will turn into clicks and applications—at which point your candidates should be met with even more branded content that targets your personas’ common traits. This means that both job ads and job descriptions should reflect the language and content you came up with for your personas—in this way you can actually tell potential applicants exactly what you’re looking for. Not only will being forthright about this make your employer brand stronger and more consistent, it will help the right people to self-select into your application process. As these candidates continue to move through your process, you can make adjustments to your candidate experience to reflect the suddenly-well-defined needs of your candidates (for candidates focused on openness and transparency, for instance, you can make sure that you make your expectations and process clear throughout the interview stages). Considering the importance of applicant experience in getting your top candidate to choose your company over someone else, this can be a huge boon to your recruitment efforts. Not only that, but having a clearly defined image of your ideal team member will make it much easier for you to identify the right candidate when he or she comes along—further proof of the power of this simple thought exercise.